Looking for storage goals? 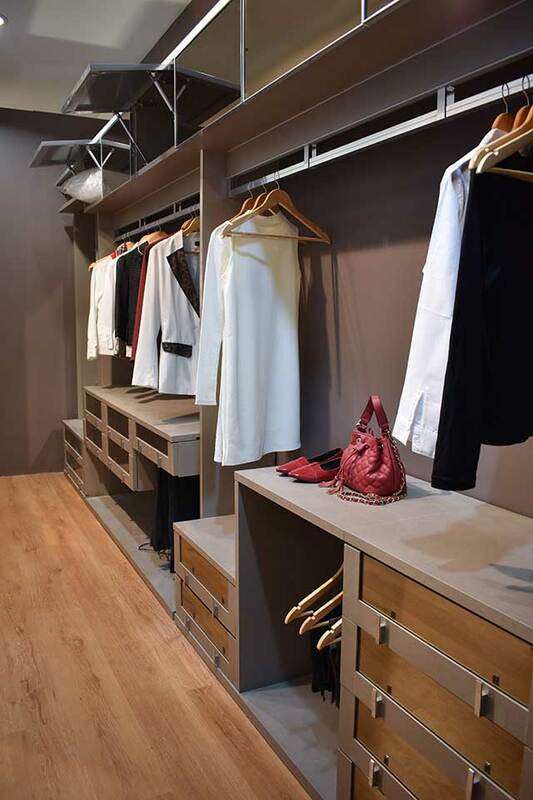 Get ideas from these clever walk-in-closet details. 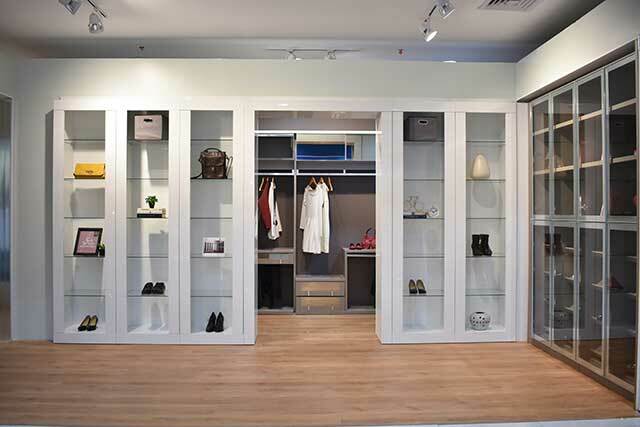 A walk-in-closet is the penultimate storage solution for homeowners. 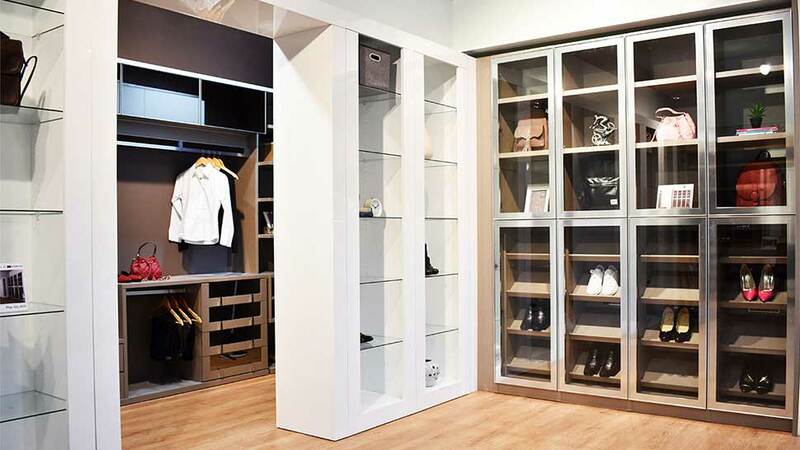 Having an entire room for your wardrobe and a space for dressing up may be a luxury for those living in small homes or condos, but there are a lot of design details that you can use from walk-ins, regardless of how small your storage space is. 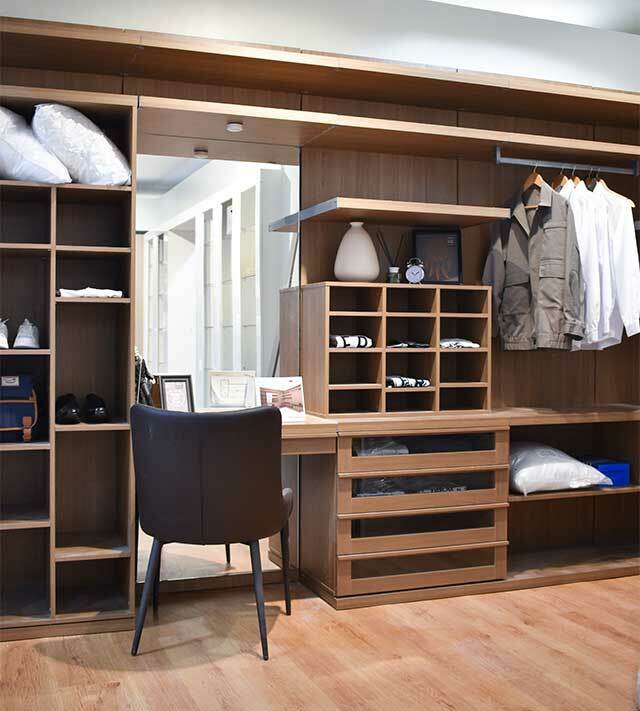 A good wardrobe area doesn’t necessarily need to have all enclosed cabinets. Ideally, you should have a combination of drawers (for folded items and underwear, also jewelry), open shelving (for bags and shoes), racks (for hanging suits and dresses) and closed cabinetry (for everything else). Some homeowners might choose a freestanding dresser table, but you can actually create a dresser within the smallest of spaces—all you need is a vacant ledge and a mirror. A dresser table is important to a wardrobe area, as you need to have a place to sit at, and a spot to keep your beauty essentials while getting ready in the morning. Swing-out (or swing-up doors) are great for the top-most shelves where you keep luggage, bed linen, and other seasonal items. The swing-out mechanism frees up your hands from holding up the door so you can deal with brining down the heavy items. Perhaps you have standout shoes and designer bags, or a luxurious collection of jewelry. Why not put that on display? 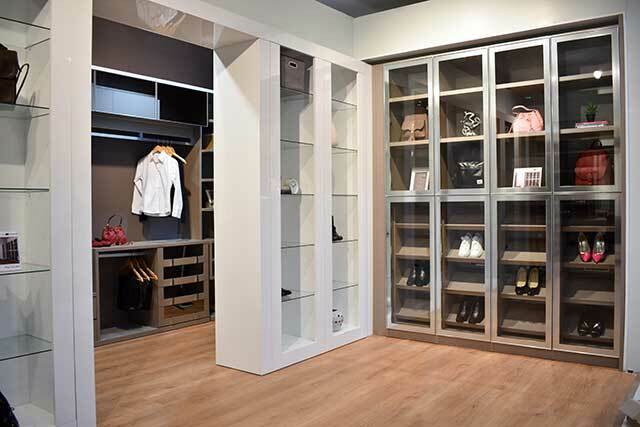 You can have one area of your wardrobe fitted with glass-front doors for this purpose. Another idea for those who have massive shoe collections: angled (also called slanted shelves) are designed so that you can immediately identify the pairs at a glance. A lip (or edging) is added to keep the shoes from slipping off the shelf. Some men’ss’ shoes sizes are too big for this type of shelving, so always check the shelf dimensions before having this customized. 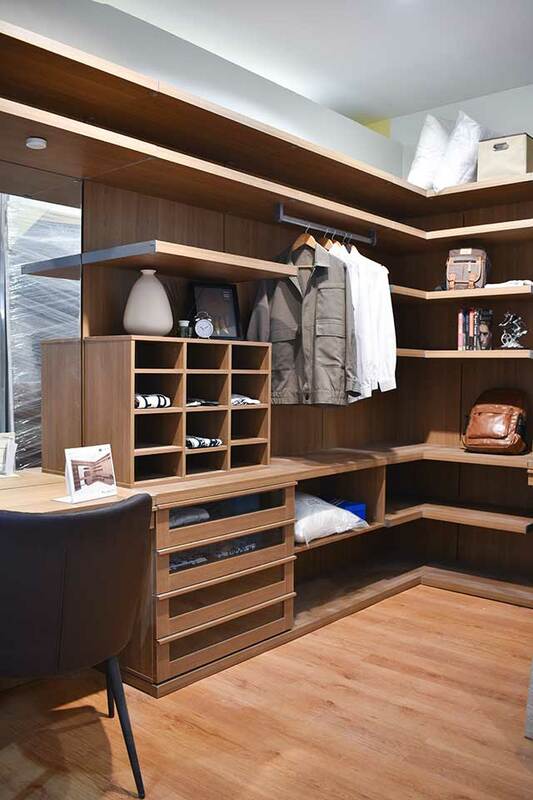 All of these walk-in-closets and wardrobe systems are available and can be customized at the SB Furniture flagship store, 5/L, WMall, Diosdado Macapagal Ave., Pasay City.